The Michael Richards Award – to be nominated and selected by a jury of national and local curators and arts experts – is designed to celebrate a Miami-Dade artist who has created a recognized body of original, high-quality works of art over a sustained period of time and who, through their practice, is achieving the highest levels of professional distinction in the visual arts. The award includes a “no strings attached” stipend of $75,000 over two years, and the opportunity to be commissioned by Oolite Arts to create a work to be exhibited at The Bass. Oolite Arts’ award is named in honor of the artist Michael Richards (1963–2001). Richards was an incisive, provocative and poetic artist whose body of work primarily addresses racial inequity and social injustice. Richards passed away tragically in his art studio in the World Trade Center during the terrorist attacks on Sept. 11, 2001. Miami was a significant artistic home for Richards, an Oolite Arts alumnus who spent winters there over the course of a three-year National Foundation for the Advancement in the Arts program from 1997-2000. In light of the devastating circumstances that took Richards’ life, the airplanes, wings, and aviation imagery that recur throughout his body of work take on a prescient resonance, perhaps most notably in Tar Baby vs. St. Sebastian. 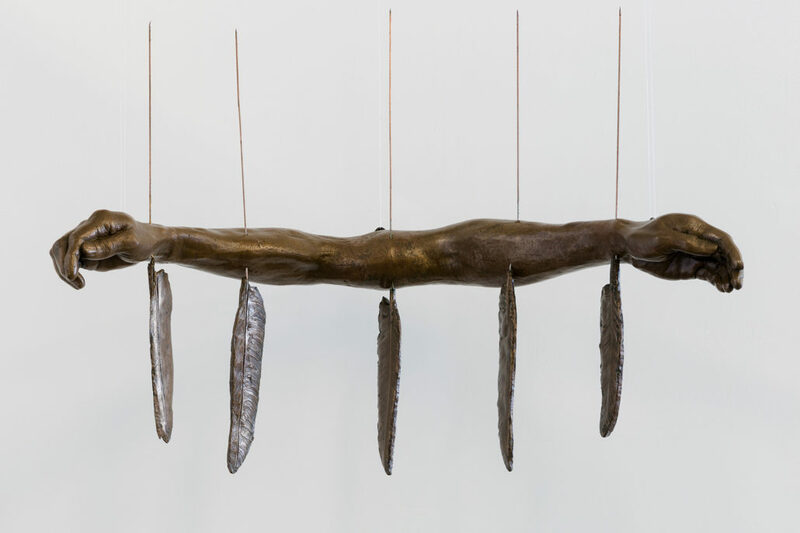 It is crucial though to a nuanced understanding of Richards’ artwork to sensitively read its multivalent imagery and metaphoric possibilities in the context of his own words and the socio-political climate of his lifetime as well as the continued relevance of those poetics and politics today. 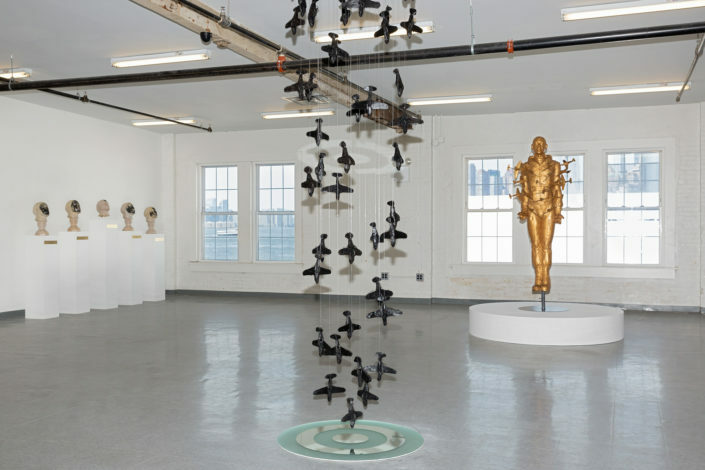 Michael Richards’ art has returned to the public eye in recent years as a result of LMCC’s 2016 retrospective Michael Richards: Winged in New York City and the subsequent exhibition Michael Richards: Tar Baby vs. St. Sebastian at Francis Naumann Fine Art in 2017. 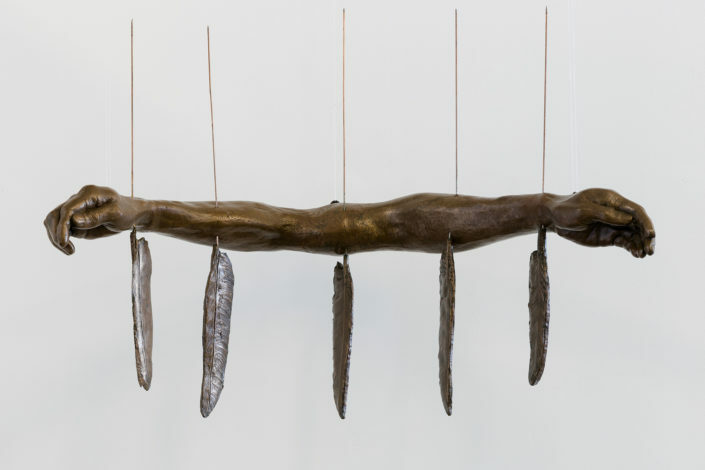 An exhibition of Michael Richards’ work will take place at Stanford University’s Stanford Art Gallery from January 22–March 24, 2019, accompanied by an academic symposium. Michael Rolando Richards was born in 1963 in Brooklyn, New York. Raised in Kingston, Jamaica, Richards moved back to the United States to attend Queens College, where he earned a BA in 1985. He received an MA from New York University in 1991, and attended the Whitney Independent Study Program from 1992–93. 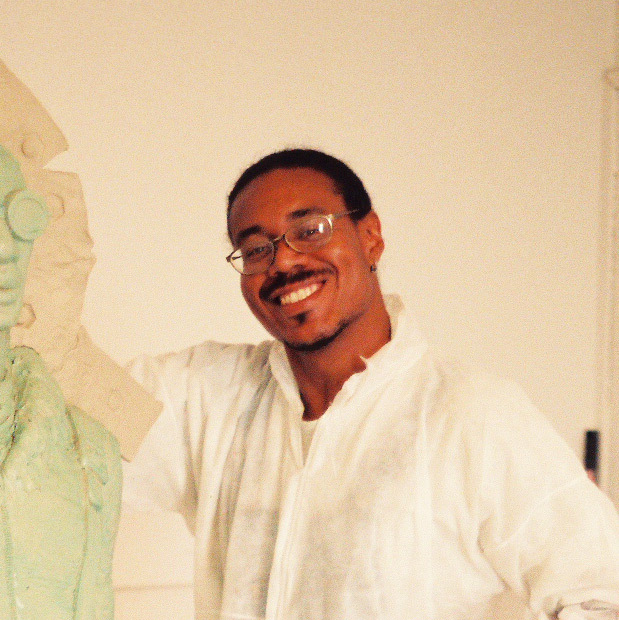 During his career, Richards held esteemed residencies with Lower Manhattan Cultural Council (2001); National Foundation for Advancement in the Arts with Oolite Arts (1997– 2000); Socrates Sculpture Park (1997); the Studio Museum in Harlem (1995–96); and Marie Walsh Sharpe Foundation (1994–95), among others. 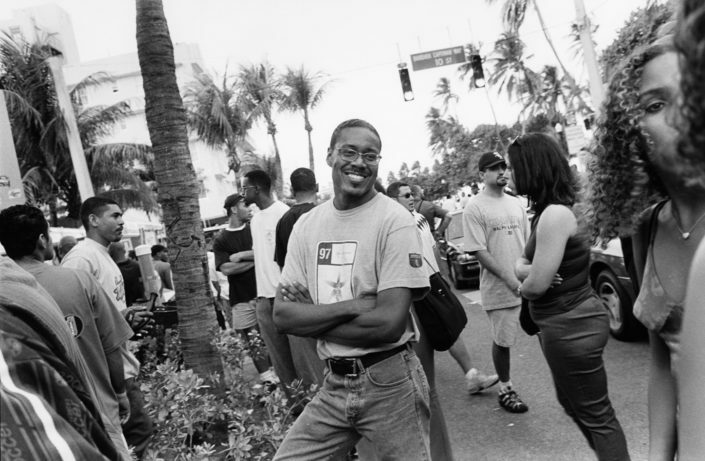 In 1995, he was the recipient of an Art Matters Individual Artist Grant. In his lifetime, Richards had a solo exhibition at The Corcoran Gallery of Art in Washington D.C. in 2000, and was featured in two-person and group exhibitions including Passages: Contemporary Art in Transition at The Studio Museum in Harlem, NY, Chicago Cultural Center, IL, and Miami Art Museum, FL (2000); Postcards from Black America at Debeyard Museum, Amsterdam, The Netherlands (1998); Michael Richards and Cathleen Lewis: Recent Works at Bronx Museum of the Arts, Bronx, NY (1997); No Doubt: African-American Artists of the ‘90s at The Aldrich Museum of Contemporary Art, Ridgefield, CT (1996); and Choice Histories with REPOhistory at Artists Space, NY (1992). 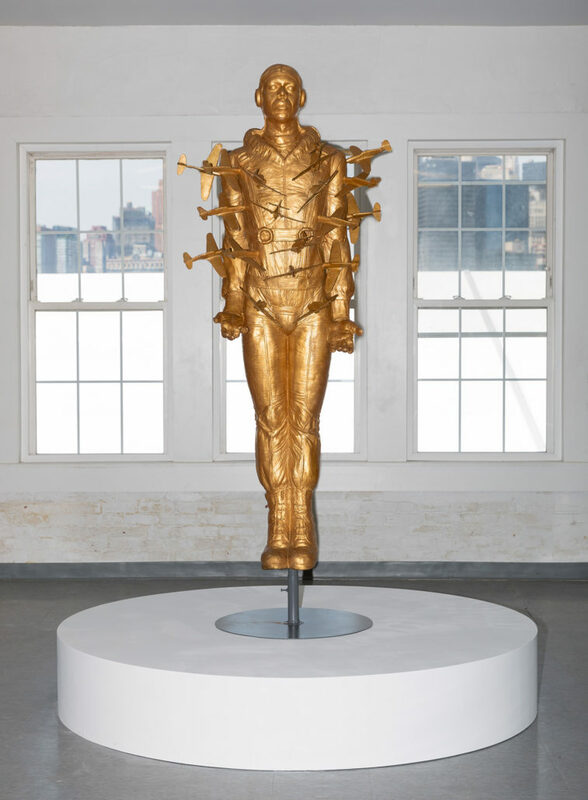 His work is held in the collections of institutions including The Studio Museum in Harlem, NY; the Brooklyn Museum, NY; the Virginia Museum of Fine Arts; and the Pérez Art Museum Miami, FL. Franconia Sculpture Park, near Minneapolis, MN, is home to a permanent memorial to Michael Richards, Are You Down?, a bronze recast of an original, large-scale sculpture by Richards, created during a Fellowship there in 2000. 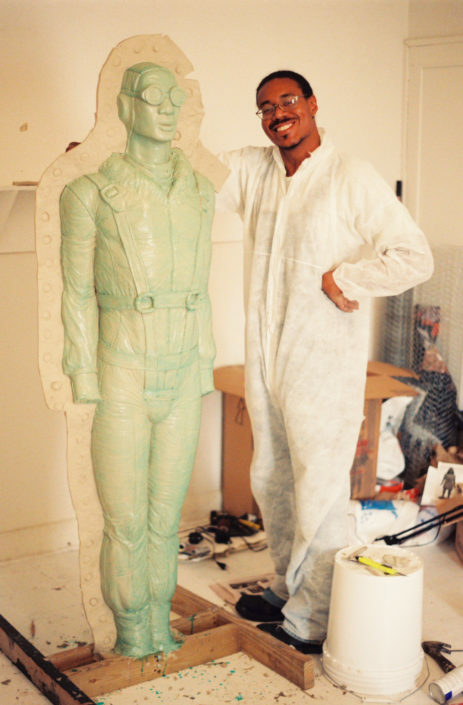 The work of the Michael Richards Estate is intended to steward and amplify the legacy of Michael Richards and his art, as well as to actively engage the issues present in Richards’ artistic practice including ongoing and systemic social injustice and racial inequity.